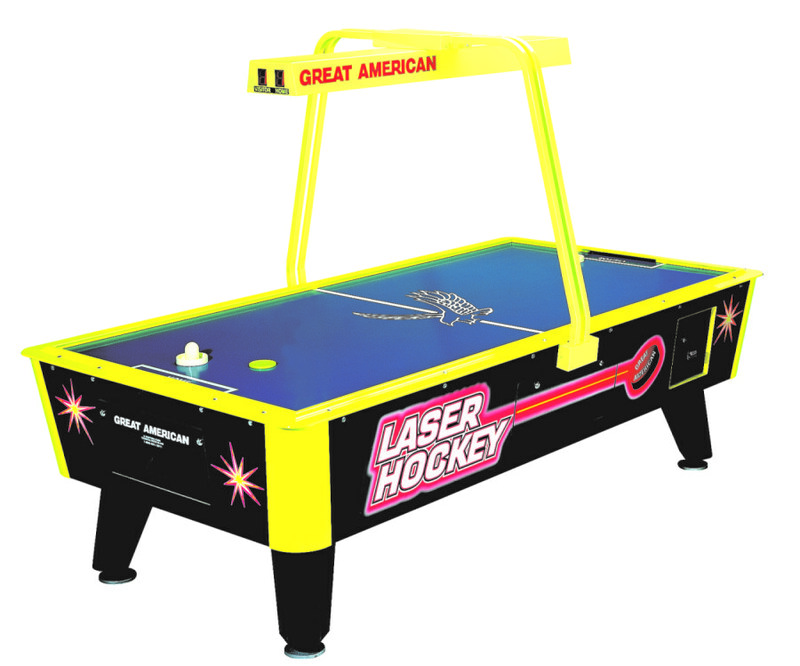 The Coin Operated Laser Hockey from Great American offers electrifying graphics to draw in players and keep them entertained. Its overhead scoreboard uses extra large, bright digital numbers to display the score. Perfectly suited for businesses, this table is built with cabinet grade plywood construction and an internal puck drop system with a tool-free, hinge panel access. The formica playfield is easy to keep clean as well. It features a reliable vertical 5-coin drop. With its exciting colors and blacklight surface, customers will not be able to stay away from the action. -Reliable vertical 5-coin coin drop.